Check out the gardening traditions of the OTTOMAN EMPIRE. There’s a small taste of the historic Ottoman Empire right here in St. Louis at the Missouri Botanical Garden. The Ottoman Garden is a unique quarter-acre walled garden that carries on the little known but great gardening tradition of the Ottomans. 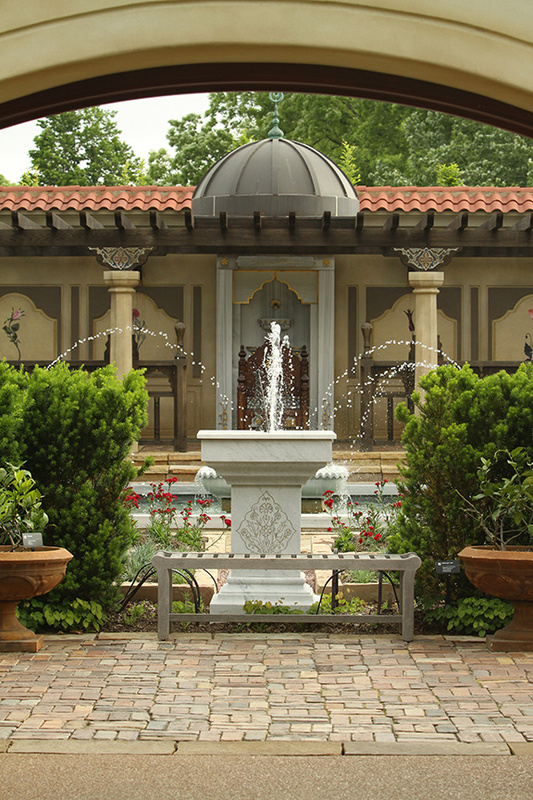 The Ottoman Garden provides a visually lush and peaceful setting. Visitors can enjoy the refreshing sound of water, earthy patina of the surrounding walls, antique brick and stone and the myriad of plants whose primary functions are for fragrance, fruit and color. Within the garden’s private courtyard, plantings include citrus and various hardy fruits, fragrant roses, classic Turkish tulips and drifts of bulbs, aromatic herbs, pomegranate and colorful perennials. The gardening traditions of the Ottoman Empire were developed between the 16th and 19th centuries in what is now Turkey. 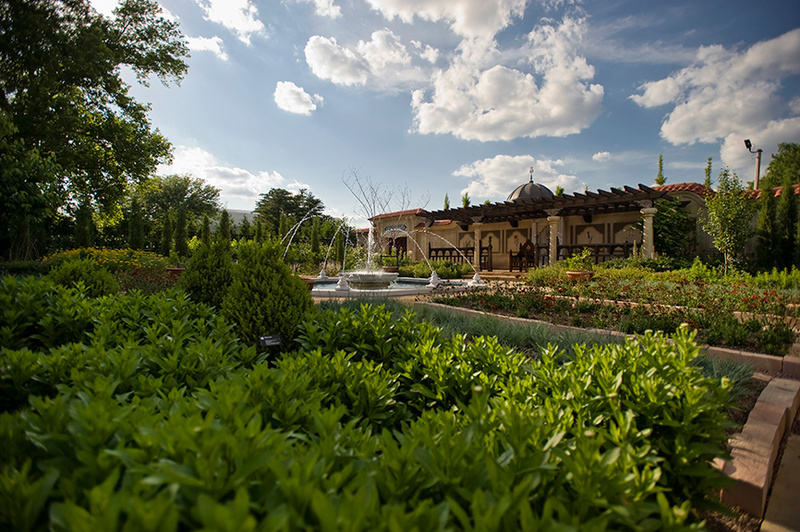 In the Ottoman Garden, plantings are primarily native Turkish flora, which would have been grown in an imperial garden during the Ottoman Empire. There is an impressive and authentic architectural component as well. 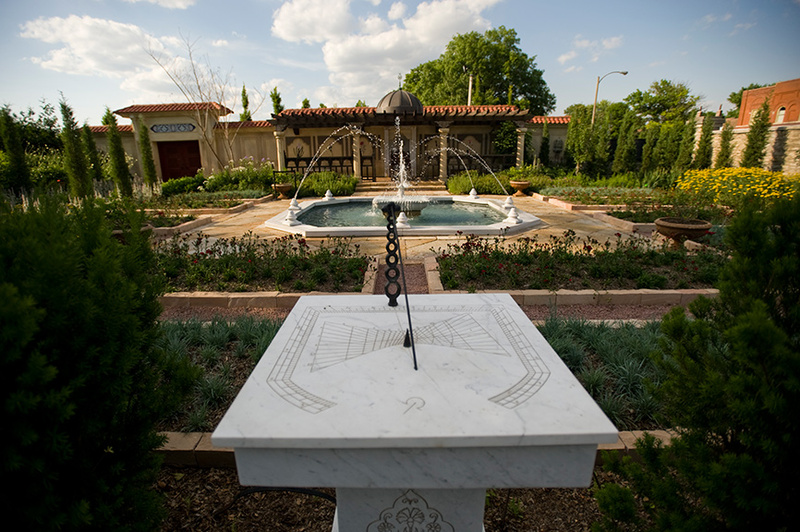 Visitors are greeted with an Ottoman sundial at the garden’s southern entrance. The design is based on a sundial in Topkapi Palace, Istanbul. One side shows western solar time, the other shows Muslim prayer times, Italian hours and Babylonian hours. Iron grille windows offer enticing views of the garden. Double wooden doors with an aged-stucco wall greet visitors on the North side of the garden.